Heartwarming gourmet food to share with friends and loved ones will be welcome in a difficult time. 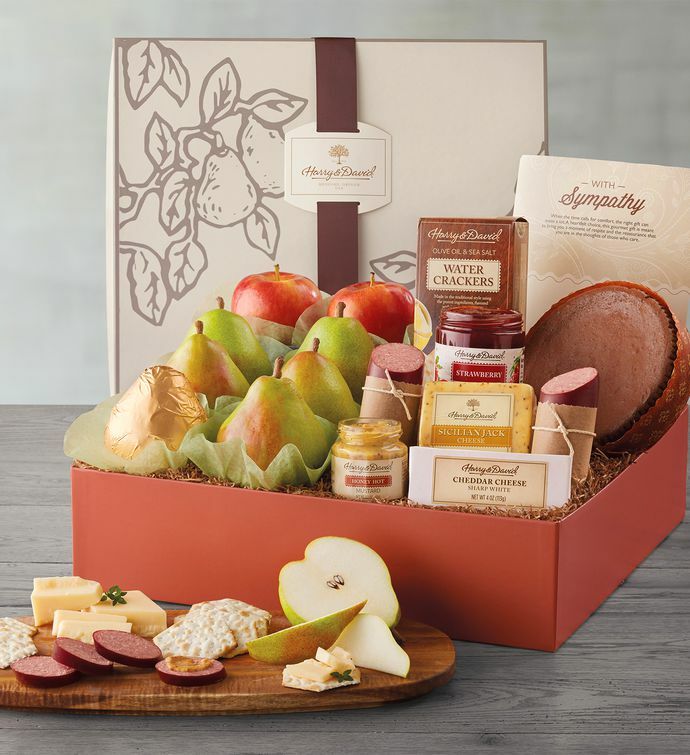 We filled this box with some of our favorite treats, like extraordinary pears from the orchards, indulgent chocolate decadence cake crafted in our bakery, and a host of artisan meats and cheeses along with crackers and condiments. We include a thoughtful "With Sympathy" tag as well.